I don't know about you but the Floral & Leopard combo will never get old to me. I just love how girly yet edgy it can look at the same time. Plus it's an easy thing to throw on when you're pressed for time getting dressed in the morning. You'll still look polished and put together and no one will know it only took you 2 minutes to figure it out! Okay, you guys know how much I love a statement necklace. Lately, I've been looking for a crystal option that was slightly less overpowering yet not as dainty as my monogram options. This DaisyGem version was the perfect mix of both worlds. It's just the right amount of in-between sparkle I needed. DaisyGem also just announced their new Gem Rewards program which gives you rewards when you shop! For ever $1 you spend you get 1 point. Once you reach 100 points, you get a $10 gift card! 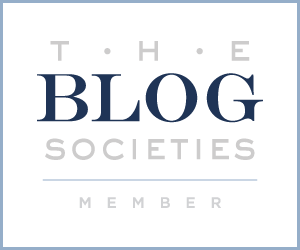 And DaisyGem has graciously decided to give you a jump start by giving new and already registered accounts 50 points which means you're already 1/2 way there! So tell me.. what are your favorite prints to mix? You can shop my favorite combo below. Happy Monday! I LOVE those pants! They are awesome and so perfect for summer! And the necklace is really cute too - I like the way it's subtle but also statement-y at the same time! Very chic! Love this whole look. Another great pair of floral pants! I agree, it is really nice to have a crystal necklace that can go with anything. I've been keeping my eye out for an affordable option. Statement necklaces of any kind are my favorite. Love the leopard and floral. My favorite of late if stripes and floral. Hope you had a great weekend. 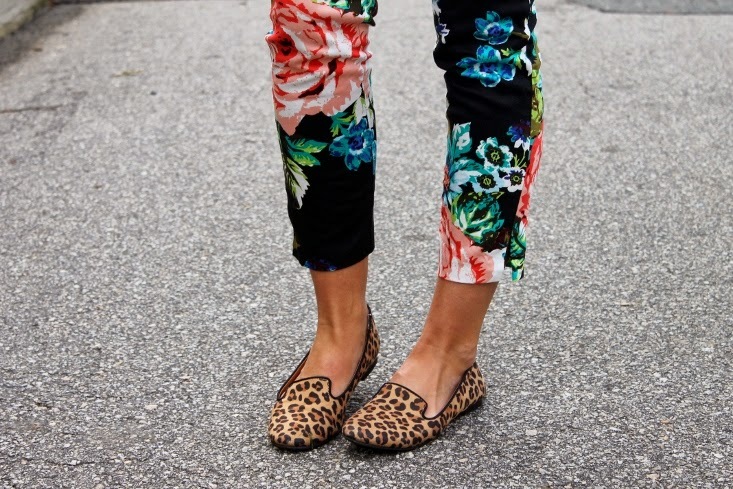 love those floral pants and i did see that at the h&m store a while back! I do LOVE those pants!! Yes- you do the best print mixes- this is so fun! Oh I need that clutch!! It matches everything! 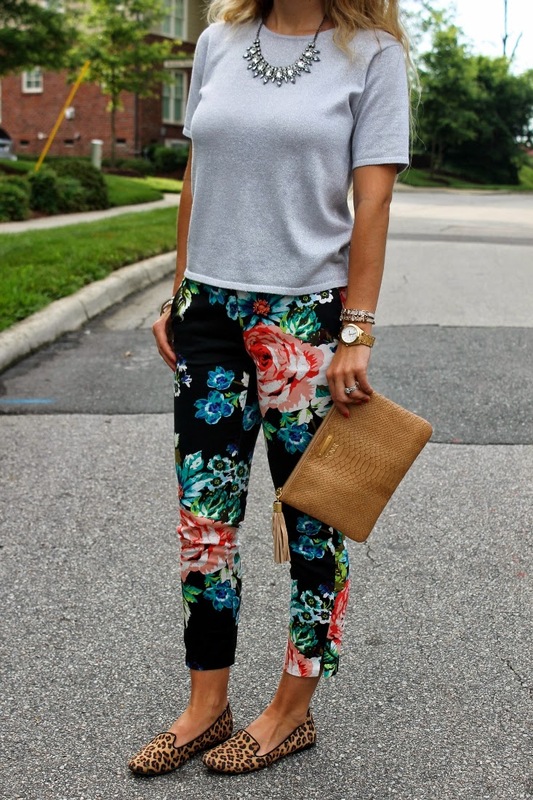 Love those floral pants - you pull off this look so great! I love the leggins, so cool and summery! Love those pants! Your combination of patters are perfect, such a great outfit!! Love this! Obsessed with those pants too.. 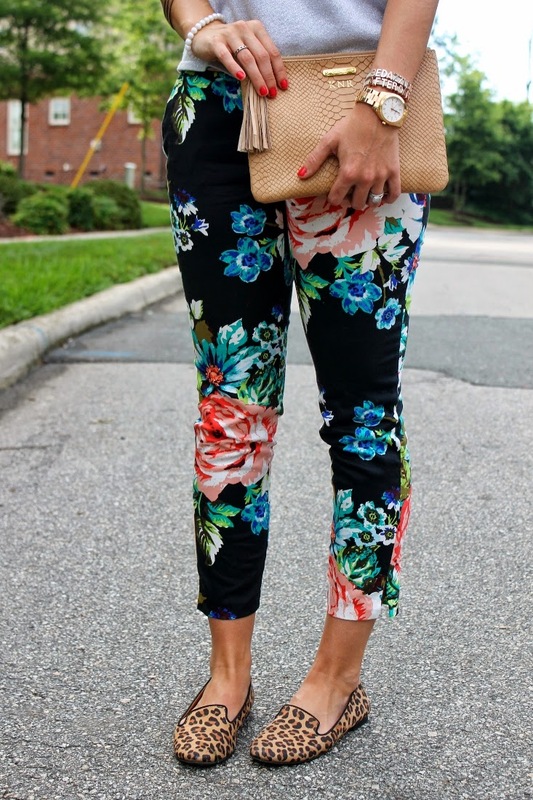 IN LOVE with your floral printed pants! 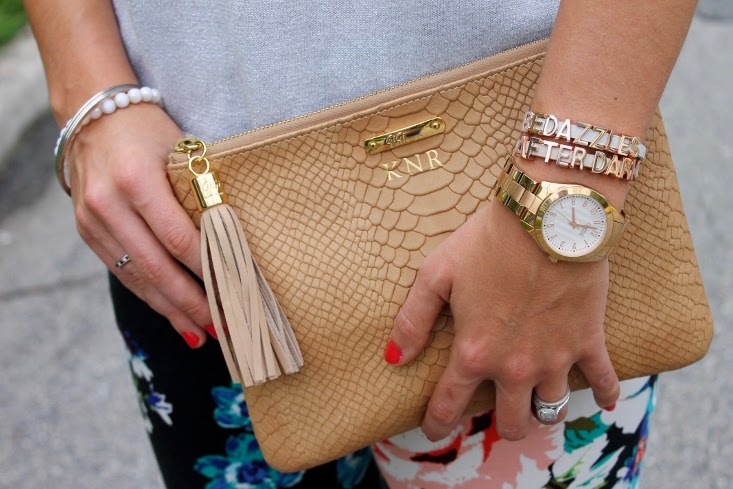 You look awesome, and your clutch is everything! Great look! Such a great look-you are right the leopard and floral are such a nice balance of feminine and edgy!! Such great styling! LOVE the mixed prints of floral and leopard - creative and chic! The floral pattern is bold and so pretty with the colors in it. Love the leopard mix.The clutch is fab with this outfit as well. I love this combination of prints! Your floral trousers are stunning and your leopard slip ons are so trendy. Who would think they would look so fantastic together! A great look! I am in love with your pants... so perfect! Ugh! So sad those H&M pants are old! I would've loved a pair, they look awesome.